Leaving your hometown in search of a better life can be one of the most difficult decisions anyone can make, but can also be the beginning of something truly meaningful. But what happens when your journey takes you to another country? Do you leave behind your roots, beliefs, and issues that matter in your native country? Or do you start building bridges to make a difference by bringing a positive change to your community? Nelida Silva did exactly that. She was born in Llamellin, Peru, an Andean region not far from Lima, where she went to college. Nelida was in her early ’20s when she decided to leave her birthplace in order to continue her education and pursue a career as an accountant. In 1987 she moved to Brooklyn to work as a financial investigator. She then worked at Count Me In, a nonprofit organization that provides resources to women entrepreneurs. Months after her arrival, Nelida was taking English classes at the International Center where she met New York-based producer and filmmaker Mitchell Teplitsky, who was there to work on his Spanish. Nelida invited him to a performance of her dance group Ballet Folklorico of Peru and that’s where Mitchell became fascinated by the Peruvian culture; it was his introduction to the Peruvian immigrant community. 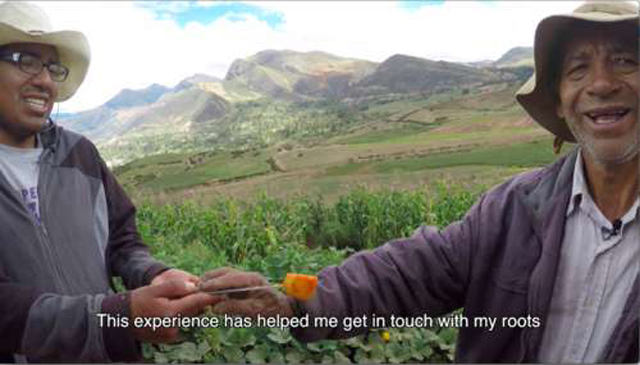 Nelida made several trips back to Peru for family visits. After 15 years of living in New York she told Mitchell she was going to realize a lifelong dream by going back to Llamalling to host the Fiesta Patronal, an eight-day cultural celebration. Soy Andina (2007) is a documentary about Nelida’s trip home and a modern dancer from Queens, New York, who was raised by a Peruvian mother. Nelida relocated to Peru years later to start gathering funds for Llapantzi, a nonprofit center in Lima. Later she founded the nonprofit Shari, to help rural women start businesses and gain economical independence. In 2013, Nelida ran for mayor, competing with 15 male candidates with the possibility of becoming the first woman mayor in her hometown. As for Mitchell, it was the beginning of his second documentary; Soy Andinda II: The Return. 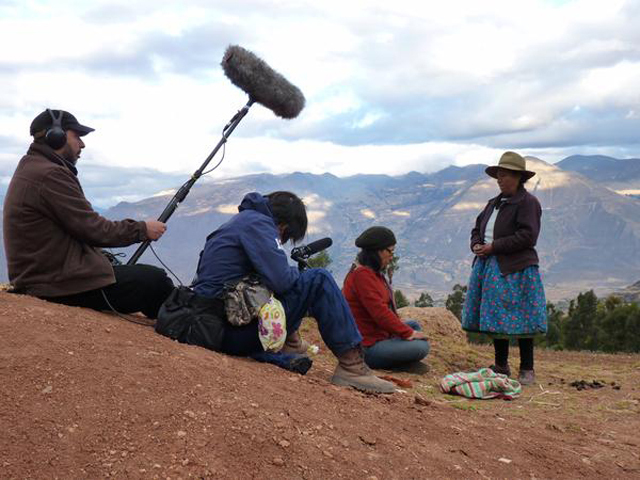 “That’s a big challenge in the Andes, where many women are marginalized. Beyond the campaign, this is about an immigrant who returns home to give back.” Mitchell said. In order to complete the film, he received support from a generous backer willing to pay for initial production, an American who is a great believer in Nelida, and a successful crowdfunding campaign. Filming the reading of coca leaves to divine the future. The campaign was launched trough Beacon with a pledge of $25,000. With the help of 500 backers they reached the initial goal and unlocked the matching funds that Beacon offers to stories about immigration and gathered a bonus of $25,000. The campaign remains open with 534 supporters and $52,157 raised so far. It was a difficult process for Mitchell and the team but nonetheless productive and rewarding. During the production Mitchell said the experience was grueling. “First day of extended filming, got stuck overnight in the puna at 11,000 or so feet when the road washed out. And sometimes shooting a documentary with really no script or plan,” he said. As for the crowdfunding campaign, Mitchell’s challenge was putting together the rewards and limited time. He knew that it was possible to reach their goal, due to “the endless pipeline of people who I knew would contribute, but could we do it by deadline?”. This is Mitchell’s crowdfunding campaign. He did one a few years back through Kickstarter, for ‘Dreamers’ a project about undocumented immigrants, but he believes because he didn’t devote himself full time to the project. “I underestimated the work and time it takes…and frankly, lacked the necessary passion one needs to fundraise,” Mitchell said. 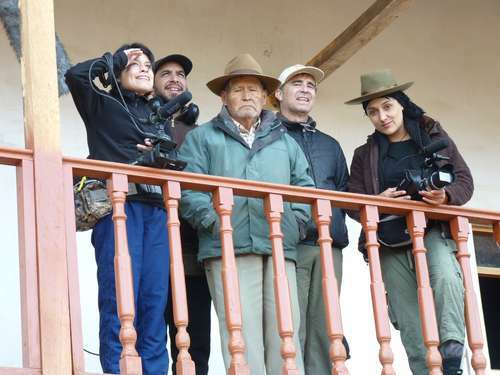 The money raised for Soy Andina II will be used for post-production and distribution trough his own production company Lucuma Films. There is a possibility for the team to return to Peru in a couple of weeks and keep shooting the campaign’s aftermath. Mitchell hopes that the film will be available to the public in the summer this year. As for future work he would like to keep focusing on more stories in Latin America. He is strongly convinced that for now, Soy Andina II will be his long- term project. As for Nelida, she did not win the election. She came in third place. Nelida’s nonprofit Shari is still active. 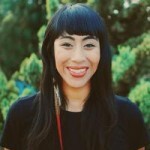 She is currently in Lima completing her Masters degree in Social Management and continuing her passion for dancing. 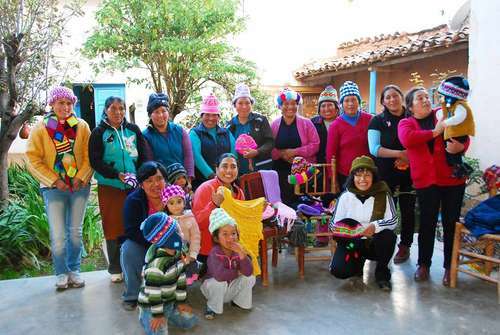 Nelida with group of women weavers. Llamellin, Peru. Follow Mitchell on Facebook and Twitter to learn more about his projects.